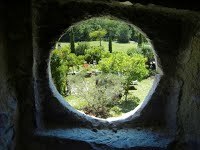 THE "TRAVERTINE" (30 m²) has an independent entrance facing the pool. This suite can accommodate people with reduced mobility (PRM). The space offers a private terrace facing South, a bedroom with a 160 cm double bed, a walk-in shower room, and separate toilets. The floor is paved with "travertine" stone coming from Italy which gives its name to this suite. 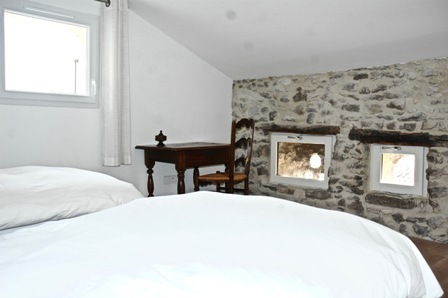 The other guest rooms, the “dovecote” and the “attic”, form together a small apartment on the second floor of the main house with bathroom & WC. 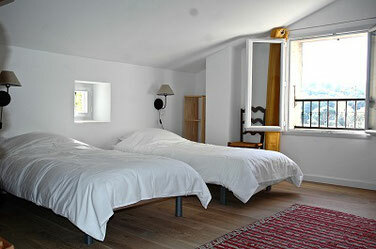 THE "PIGEONNIER" is a 15 m² room (former house’s dovecote) which welcomes the light of the rising sun. 2 single beds can be turned into a large bed for couples. 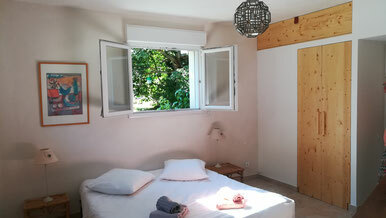 THE "GRENIER AUX HERBES" (attic) is a large 20 m² room that can accommodate 3 adults or a couple and two children. Sunset view, on the fields that surround the farmhouse. 2 single beds that can be combined to form a double bed and two single pull-out beds.